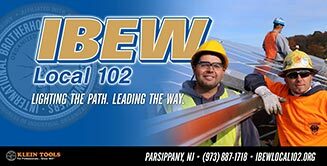 IBEW Local 102 hosts a minimum of 2 events per year for our retired members. A holiday lunch each December and a "Day at the Races" during the Summer months. We take pride in remembering those who have built the foundation of this great organization. It's great to see old friends get together to share some laughs. If you have recently retired please make sure we have your correct contact information so we can contact you as the events are scheduled. Morgan Reade offers free visit & consultation.